the iMac's on stage are not covered up. People inside can see the iMac screen! it is uncovered and redesigned operating system. what if they made a waterproof iPhone, later this year???? Are we allowed diagonal on the bingo, and how do we let them know? Sound the alarms! 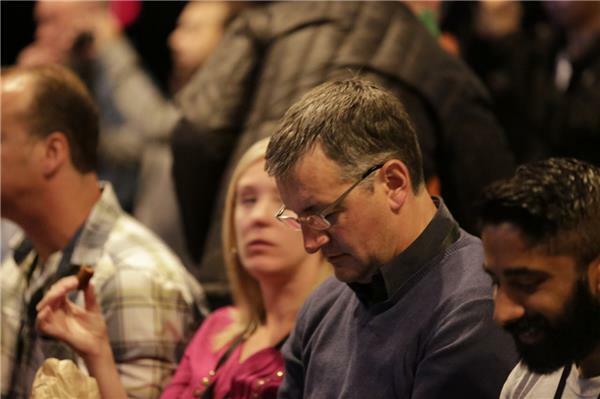 There is a Surface Pro 3 at WWDC. We've got a super packed house here. 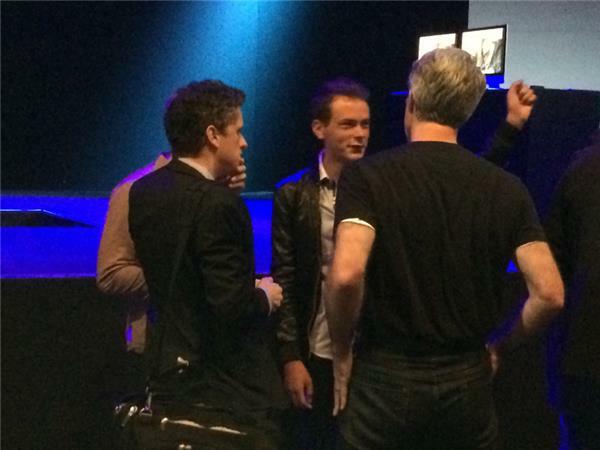 All of Apple's top execs are milling around the front. They have the aisle blocked off so you can't walk up there to see exactly who's there, but I saw CEO Tim Cook, iTunes head Eddy Cue, marketing chief Phil Schiller, and new retail chief Angela Ahrendts. I am I going to be stuck with a 4.7" phone size I don't want just get the latest iPhone? That really annoys me...am I alone in NOT wanting a bigger phone? An apology and generous buy back policy for iPad 1s. We've also got some other guests here, including Box CEO Aaron Levy. iWatch will be given a sneak peek just like Mac Pro. Developers should know stuff to make apps. If the iPhone comes in Sep/Oct how many more people will have gone to Android? Apple's playing a list of pop music. Right now we have the song "Ain't It Fun" by Paramore. So far on my trip to SF, I've run into two Surface tablets -- one was my seatmate on my flight yesterday, the other is here at WWDC, and it's Mashable's Lance Ulanoff. 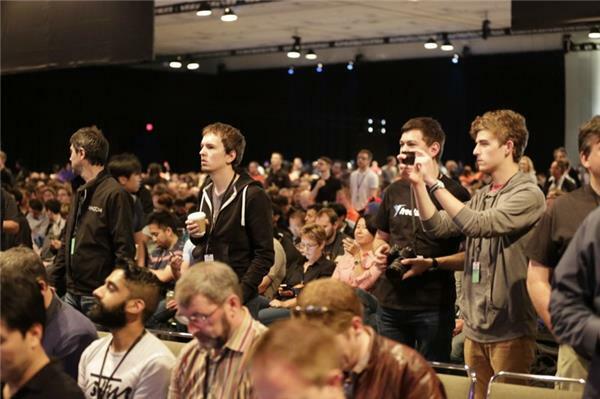 Are you guys going to stream WWDC14? I'm on Windows, and don't really wanna install Quicktime just to watch this event. Does anyone know if iOS 8 will be available for the original iPhone 5? Honestly I don't necessarily need a bigger screen I just need more flexibility in use of the existing real estate. I think speculation on the following are likely to be spot on: resolution independence implemented for the further expansion of the iDevice universe into iWatch, revised resolution iPhones/iPads, iWatch and a new Apple TV capable of running apps and becoming a hub for iHome, and hence heavy emphasis on further ecosystem encroachment into health, home control, automotive and other areas. Hope they bring back the full screen caller id picture...hate that little circle! A really big surprise? An iPhone/iWatch hybrid with nano robots and hologram projection! @karan11 follow me on twitter or IG man. Love to chat more with you about tech news man. Hey Crew, can we talk about the possibility of Apple releasing a touch screen laptop, possibly for their 12 inch broadwell chip mac air/pro product? what happened to the pan aroma wallpaper in iOS 7? OSX 10.10 has been by accident shown on the screens in wwdc before hand! Is that an Android figurine there, next to Stephen? Come ooooon! Lol I friggin love you guys! 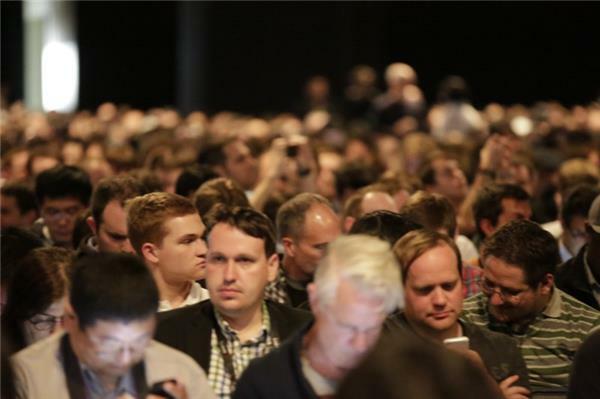 Nope WWDC is usually all about software.